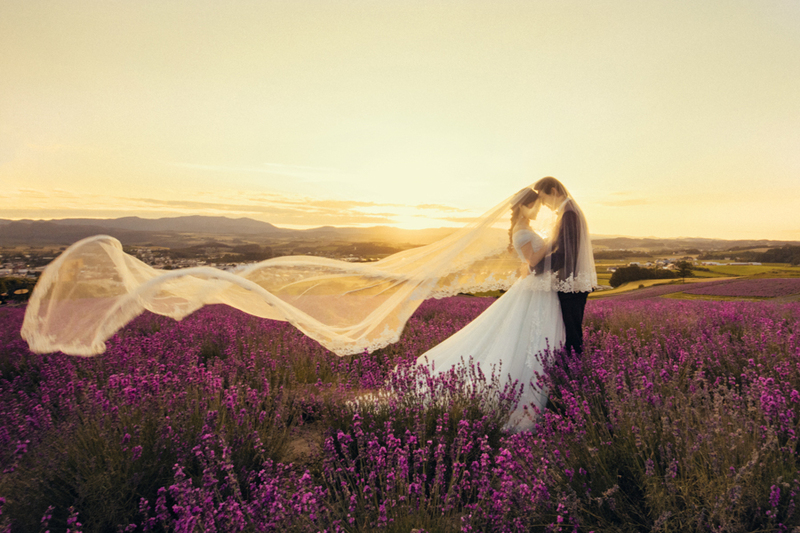 Looking for Pre Wedding in Summer Hokkaido? Lavendar field with sunset is absolutely stunning. Let's have your pre wedding in this summer! Contact us now.